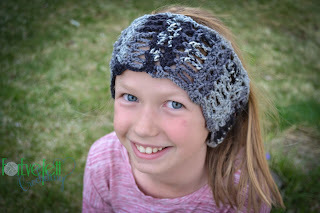 Jane, you didn't post a last name, so be sure to check the email you used to enter for your code for a free copy of the Headband pattern on Ravelry. 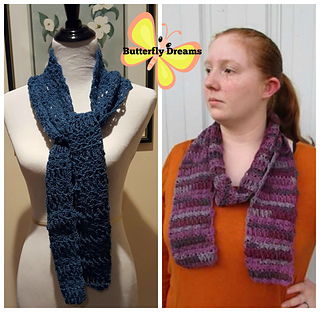 Did you know there is a coordinating pattern for a scarf? Betty has a beautiful lightweight scarf that goes perfectly with the headband. It is listed on Ravelry here: http://www.ravelry.com/patterns/library/summer-serenade-scarf Happy Crocheting! Since I had such a wonderful response to this picture on Facebook, I decided it would be a good thing to have a permanent page where I could share the free patterns, even the ones I didn't write. Thank you to all of you who responded with such kind words about this picture and these patterns. 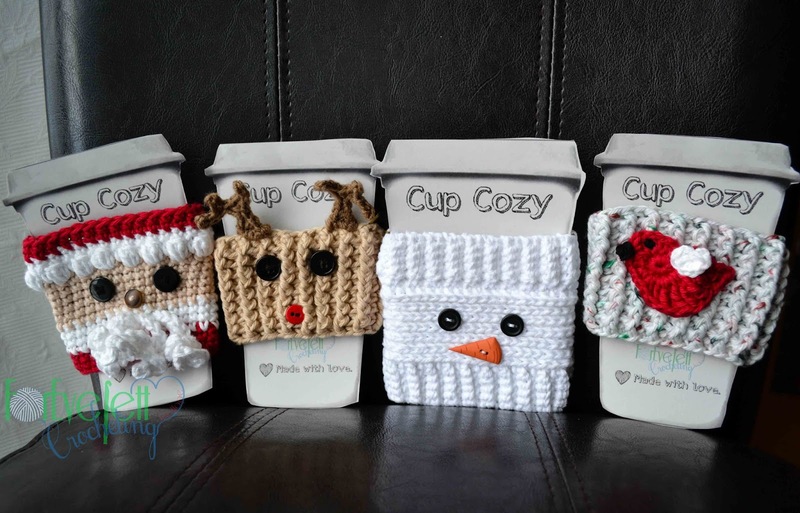 I'd love to see these cozies in more teacher's hands this winter break. Hello! I recently found some great buttons in the craft section of my local Walmart. 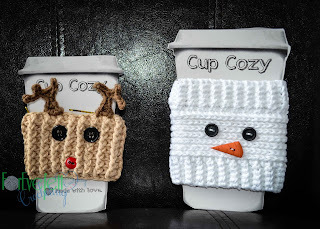 I decided that they would be perfect for a snowman cup cozy. I wrote my own pattern and thought I'd share it with you. Notions: Two black buttons for eyes, carrot button for nose. 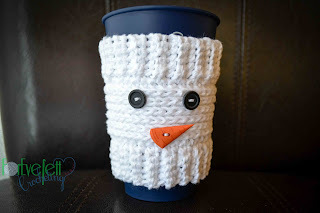 Notes: You have two options for closing the cuff into a circle, you can slip stitch the ends together and weave in ends or use your beginning tail to sew the bottom cuff and your end to sew the top cuff. If you choose to sew leave your ends long enough to sew and weave in ends. Bottom cuffs: ch6, turn sc in back loop only (5sc). Ch1 turn, sc in Blo. 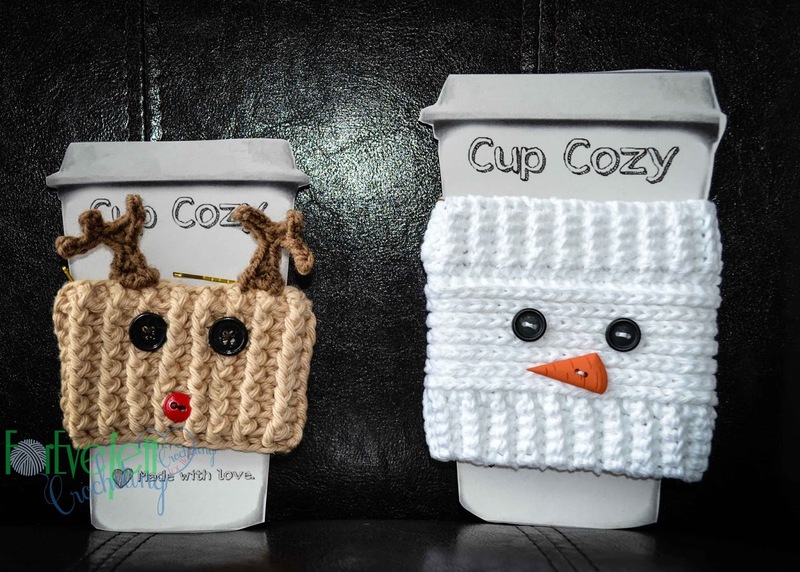 Repeat until the cuff is long enough to go around the cup (approximately 8.5”). Do not finish off. Slip stitch one stitch of cuff to the beginning to form a circle. ch1 and rotate to work in row ends. If sewing cuff closed, leave it until you have a few rows done or are finished. If slip stitching, slip stitch the two ends together, ch 1 and rotate to work in row ends. Round 1: hdc evenly in row ends. Rounds 2-7: Hdc in back hump of Hdc below (camel stitch). 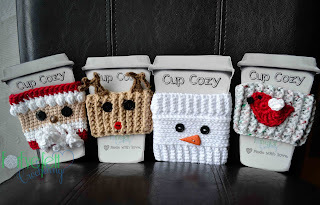 Join to first hdc with slip stitch, ch1. Round 8: Sc in back hump of each Hdc. Top cuff: ch6, sc in second ch from hook and next 4, sc in next 2 sc. *Turn, skip 2 sc and sc in next 5 in Blo. Ch1, turn, sc in next 5 Blo, sc in next 2 (both loops). Repeat from * around. Finishing: Finish off and if you didn't slip stitch your cuffs, use end to sew closed the cuff. Use the beginning tail to sew closed the bottom cuff. Sew eyes on to the side opposite your seam.